Peculiar Crossroads Productions LLC is a team of game designers, writers, and storytellers dedicated to creating Live Action Role-Playing experiences with a gothic flair. We have been running LARPs as a group for over ten years. 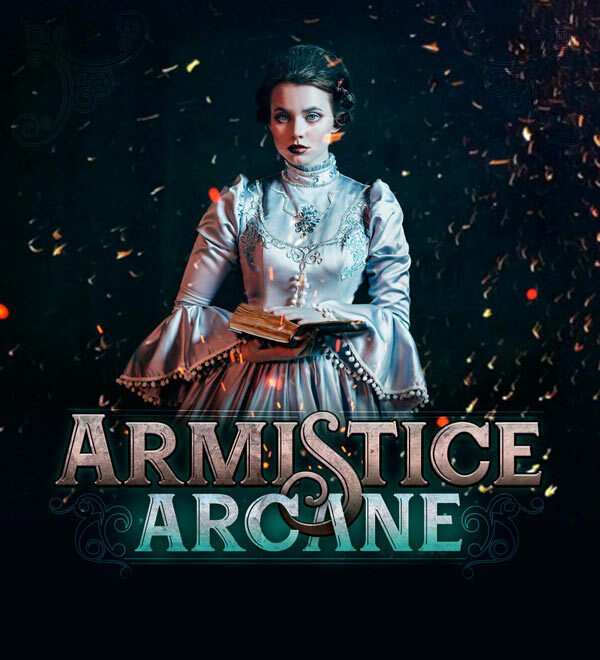 What started as a few people writing a one-shot event to celebrate a birthday with some friends has become an opportunity to share and create stories with and for a larger audience of gamers, actors, roleplayers, and lovers of gothic themes. Because everyone on our writing team is both a writer and a roleplayer, our maxim is that every character must be a character we would be excited to play. What this means for our audience is a promise of earnestly crafted characters with rich back-stories, social networks and connections, and realistic objectives — characters who feel both larger than life, but also very real. It is also important to the PCP team that our games are openly inclusive to all people, regardless of their race, ethnicity, sexuality, gender expression, nationality, or other affiliations and identities. Unless a game specifically explores themes of exclusion or oppression, our worlds are written as open to all peoples, and any game with oppressive themes will be clearly labeled and workshopped for the safety and security of our players. We firmly believe in the power of LARPs to tackle social issues, and we have ourselves examined immigration, the treatment of the mentally ill, and other problematic concepts in previous games. However, we also believe that not every LARP needs to tackle every ill, so depending on the themes we wish to explore in any particular game, we may or may not create ahistorical settings in which certain problematic social issues do or do not exist. Our vision is to create stories that will resonate not just with us but with our players — stories that cover the gamut of human, and sometimes inhuman, emotion and motivation. We hope to entice LARPers, roleplayers, actors, and all others to join us in our love of storytelling, roleplaying, costuming, and imagination.